Israel is not the only democracy in the Middle East. In fact, it's not a democracy at all. From Ten Myths About Israel, out now from Verso Books. In the eyes of many Israelis and their supporters worldwide — even those who might criticize some of its policies — Israel is, at the end of the day, a benign democratic state, seeking peace with its neighbors, and guaranteeing equality to all its citizens. Those who do criticize Israel assume that if anything went wrong in this democracy then it was due to the 1967 war. In this view, the war corrupted an honest and hardworking society by offering easy money in the occupied territories, allowing messianic groups to enter Israeli politics, and above all else turning Israel into an occupying and oppressive entity in the new territories. The myth that a democratic Israel ran into trouble in 1967 but still remained a democracy is propagated even by some notable Palestinian and pro-Palestinian scholars — but it has no historical foundation. At every moment from 1948 until today, there had been some group of Palestinians undergoing such an experience. The first group to suffer under such a yoke was the Palestinian minority inside Israel. It began in the first two years of statehood when they were pushed into ghettos, such as the Haifa Palestinian community living on the Carmel mountain, or expelled from the towns they had inhabited for decades, such as Safad. In the case of Isdud, the whole population was expelled to the Gaza Strip. In the countryside, the situation was even worse. The various Kibbutz movements coveted Palestinian villages on fertile land. This included the socialist Kibbutzim, Hashomer Ha-Zair, which was allegedly committed to binational solidarity. Long after the fighting of 1948 had subsided, villagers in Ghabsiyyeh, Iqrit, Birim, Qaidta, Zaytun, and many others, were tricked into leaving their homes for a period of two weeks, the army claiming it needed their lands for training, only to find out on their return that their villages had been wiped out or handed to someone else. This state of military terror is exemplified by the Kafr Qasim massacre of October 1956, when, on the eve of the Sinai operation, forty-nine Palestinian citizens were killed by the Israeli army. The authorities alleged that they were late returning home from work in the fields when a curfew had been imposed on the village. This was not the real reason, however. Later proofs show that Israel had seriously considered the expulsion of Palestinians from the whole area called the Wadi Ara and the Triangle in which the village sat. These two areas — the first a valley connecting Afula in the east and Hadera on the Mediterranean coast; the second expanding the eastern hinterland of Jerusalem — were annexed to Israel under the terms of the 1949 armistice agreement with Jordan. As we have seen, additional territory was always welcomed by Israel, but an increase in the Palestinian population was not. Thus, at every juncture, when the state of Israel expanded, it looked for ways to restrict the Palestinian population in the recently annexed areas. Operation “Hafarfert” (“mole”) was the code name of a set of proposals for the expulsion of Palestinians when a new war broke out with the Arab world. Many scholars today now think that the 1956 massacre was a practice run to see if the people in the area could be intimidated to leave. The perpetrators of the massacre were brought to trial thanks to the diligence and tenacity of two members of the Knesset: Tawaq Tubi from the Communist Party and Latif Dori of the Left Zionist party Mapam. However, the commanders responsible for the area, and the unit itself that committed the crime, were let off very lightly, receiving merely small fines. This was further proof that the army was allowed to get away with murder in the occupied territories. Systematic cruelty does not only show its face in a major event like a massacre. The worst atrocities can also be found in the regime’s daily, mundane presence. Palestinians in Israel still do not talk much about that pre-1967 period, and the documents of that time do not reveal the full picture. Surprisingly, it is in poetry that we find an indication of what it was like to live under military rule. So our brave soldier shot, no wonder And hit and killed the boy. And no one talked about it. On one occasion he wrote a poem about two Palestinian citizens who were shot in Wadi Ara. In another instance, he told the story of a very ill Palestinian woman who was expelled with her two children, aged three and six, with no explanation, and sent across the River Jordan. When she tried to return, she and her children were arrested and put into a Nazareth jail. That either the story would be denied or explained But nothing, not a word. There is further evidence that Israel was not a democracy prior to 1967. The state pursued a shoot-to-kill policy towards refugees trying to retrieve their land, crops, and husbandry, and staged a colonial war to topple Nasser’s regime in Egypt. Its security forces were also trigger happy, killing more than fifty Palestinian citizens during the period from 1948–1967. The litmus test of any democracy is the level of tolerance it is willing to extend towards the minorities living in it. In this respect, Israel falls far short of being a true democracy. For example, after the new territorial gains several laws were passed ensuring a superior position for the majority: the laws governing citizenship, the laws concerning land ownership, and most important of all, the law of return. The latter grants automatic citizenship to every Jew in the world, wherever he or she was born. This law in particular is a flagrantly undemocratic one, for it was accompanied by a total rejection of the Palestinian right of return — recognized internationally by the UN General Assembly Resolution 194 of 1948. This rejection refuses to allow the Palestinian citizens of Israel to unite with their immediate families or with those who were expelled in 1948. Denying people the right of return to their homeland, and at the same time offering this right to others who have no connection to the land, is a model of undemocratic practice. Added to this was a further layering of denial of the rights of the Palestinian people. Almost every discrimination against the Palestinian citizens of Israel is justified by the fact that they do not serve in the army. The association between democratic rights and military duties is better understood if we revisit the formative years in which Israeli policy makers were trying to make up their minds about how to treat one-fifth of the population. Their assumption was that Palestinian citizens did not want to join the army anyway, and that assumed refusal, in turn, justified the discriminatory policy against them. This was put to the test in 1954 when the Israeli ministry of defense decided to call up those Palestinian citizens eligible for conscription to serve in the army. The secret service assured the government that there would be a widespread rejection of the call-up. To their great surprise, all those summoned went to the recruiting office, with the blessing of the Communist Party, the biggest and most important political force in the community at the time. The secret service later explained that the main reason was the teenagers’ boredom with life in the countryside and their desire for some action and adventure. Notwithstanding this episode, the ministry of defense continued to peddle a narrative that depicted the Palestinian community as unwilling to serve in the military. Inevitably, in time, the Palestinians did indeed turn against the Israeli army, who had become their perpetual oppressors, but the government’s exploitation of this as a pretext for discrimination casts huge doubt on the state’s pretense to being a democracy. If you are a Palestinian citizen and you did not serve in the army, your rights to government assistance as a worker, student, parent, or as part of a couple, are severely restricted. This affects housing in particular, as well as employment — where 70 percent of all Israeli industry is considered to be security-sensitive and therefore closed to these citizens as a place to find work. The underlying assumption of the ministry of defense was not only that Palestinians do not wish to serve but that they are potentially an enemy within who cannot be trusted. The problem with this argument is that in all the major wars between Israel and the Arab world the Palestinian minority did not behave as expected. They did not form a fifth column or rise up against the regime. This, however, did not help them: to this day they are seen as a “demographic” problem that has to be solved. The only consolation is that still today most Israeli politicians do not believe that the way to solve “the problem” is by the transfer or expulsion of the Palestinians (at least not in peacetime). The claim to being a democracy is also questionable when one examines the budgetary policy surrounding the land question. Since 1948, Palestinian local councils and municipalities have received far less funding than their Jewish counterparts. The shortage of land, coupled with the scarcity of employment opportunities, creates an abnormal socioeconomic reality. Today more than 90 percent of the land is owned by the Jewish National Fund (JNF). Landowners are not allowed to engage in transactions with non-Jewish citizens, and public land is prioritized for the use of national projects, which means that new Jewish settlements are being built while there are hardly any new Palestinian settlements. Thus, the biggest Palestinian city, Nazareth, despite the tripling of its population since 1948, has not expanded one square kilometer, whereas the development town built above it, Upper Nazareth, has tripled in size, on land expropriated from Palestinian landowners. Further examples of this policy can be found in Palestinian villages throughout Galilee, revealing the same story: how they have been downsized by 40 percent, sometimes even 60 percent, since 1948, and how new Jewish settlements have been built on expropriated land. Elsewhere this has initiated full-blown attempts at “Judaization.” After 1967, the Israeli government became concerned about the lack of Jews living in the north and south of the state and so planned to increase the population in those areas. Such a demographic change necessitated the confiscation of Palestinian land for the building of Jewish settlements. Worse was the exclusion of Palestinian citizens from these settlements. This blunt violation of a citizen’s right to live wherever he or she wishes continues today, and all efforts by human rights NGOs in Israel to challenge this apartheid have so far ended in total failure. The Supreme Court in Israel has only been able to question the legality of this policy in a few individual cases, but not in principle. Imagine if in the United Kingdom or the United States, Jewish citizens, or Catholics for that matter, were barred by law from living in certain villages, neighborhoods, or maybe whole towns? How can such a situation be reconciled with the notion of democracy? Thus, given its attitude towards two Palestinian groups — the refugees and the community in Israel — the Jewish state cannot, by any stretch of the imagination, be assumed to be a democracy. But the most obvious challenge to that assumption is the ruthless Israeli attitude towards a third Palestinian group: those who have lived under its direct and indirect rule since 1967, in East Jerusalem, the West Bank, and the Gaza Strip. From the legal infrastructure put in place at the outset of the war, through the unquestioned absolute power of the military inside the West Bank and outside the Gaza Strip, to the humiliation of millions of Palestinians as a daily routine, the “only democracy” in the Middle East behaves as a dictatorship of the worst kind. The main Israeli response, diplomatic and academic, to the latter accusation is that all these measures are temporary — they will change if the Palestinians, wherever they are, behave “better.” But if one researches, not to mention lives in, the occupied territories, one will understand how ridiculous these arguments are. Israeli policy makers, as we have seen, are determined to keep the occupation alive for as long as the Jewish state remains intact. It is part of what the Israeli political system regards as the status quo, which is always better than any change. Israel will control most of Palestine and, since it will always include a substantial Palestinian population, this can only be done by nondemocratic means. In addition, despite all the evidence to the contrary, the Israeli state claims that the occupation is an enlightened one. The myth here is that Israel came with good intentions to conduct a benevolent occupation but was forced to take a tougher attitude because of the Palestinian violence. In 1967, the government treated the West Bank and the Gaza Strip as a natural part of “Eretz Israel,” the land of Israel, and this attitude has continued ever since. When you look at the debate between the right- and left-wing parties in Israel on this issue, their disagreements have been about how to achieve this goal, not about its validity. Among the wider public, however, there was a genuine debate between what one might call the “redeemers” and the “custodians.” The “redeemers” believed Israel had recovered the ancient heart of its homeland and could not survive in the future without it. In contrast, the “custodians” argued that the territories should be exchanged for peace with Jordan, in the case of the West Bank, and Egypt in the case of the Gaza Strip. However, this public debate had little impact on the way the principal policy makers were figuring out how to rule the occupied territories. The worst part of this supposed “enlightened occupation” has been the government’s methods for managing the territories. At first the area was divided into “Arab” and potential “Jewish” spaces. Those areas densely populated with Palestinians became autonomous, run by local collaborators under a military rule. This regime was only replaced with a civil administration in 1981. The other areas, the “Jewish” spaces, were colonized with Jewish settlements and military bases. This policy was intended to leave the population both in the West Bank and the Gaza Strip in disconnected enclaves with neither green spaces nor any possibility for urban expansion. Things only got worse when, very soon after the occupation, Gush Emunim started settling in the West Bank and the Gaza Strip, claiming to be following a biblical map of colonization rather than the governmental one. As they penetrated the densely populated Palestinian areas, the space left for the locals was shrunk even further. What every colonization project primarily needs is land — in the occupied territories this was achieved only through the massive expropriation of land, deporting people from where they had lived for generations, and confining them in enclaves with difficult habitats. When you fly over the West Bank, you can see clearly the cartographic results of this policy: belts of settlements that divide the land and carve the Palestinian communities into small, isolated, and disconnected communities. The Judaization belts separate villages from villages, villages from towns, and sometime bisect a single village. This is what scholars call a geography of disaster, not least since these policies turned out to be an ecological disaster as well: drying up water sources and ruining some of the most beautiful parts of the Palestinian landscape. Moreover, the settlements became hotbeds in which Jewish extremism grew uncontrollably — the principal victims of which were the Palestinians. Thus, the settlement at Efrat has ruined the world heritage site of the Wallajah Valley near Bethlehem, and the village of Jafneh near Ramallah, which was famous for its freshwater canals, lost its identity as a tourist attraction. These are just two small examples out of hundreds of similar cases. House demolition is not a new phenomenon in Palestine. As with many of the more barbaric methods of collective punishment used by Israel since 1948, it was first conceived and exercised by the British Mandatory government during the Great Arab Revolt of 1936–39. This was the first Palestinian uprising against the pro-Zionist policy of the British Mandate, and it took the British army three years to quell it. In the process, they demolished around two thousand houses during the various collective punishments meted out to the local population. Israel demolished houses from almost the first day of its military occupation of the West Bank and the Gaza Strip. The army blew up hundreds of homes every year in response to various acts undertaken by individual family members. From minor violations of military rule to participation in violent acts against the occupation, the Israelis were quick to send in their bulldozers to wipe out not only a physical building but also a focus of life and existence. In the greater Jerusalem area (as inside Israel) demolition was also a punishment for the unlicensed extension of an existing house or the failure to pay bills. Another form of collective punishment that has recently returned to the Israeli repertoire is that of blocking up houses. Imagine that all the doors and windows in your house are blocked by cement, mortar, and stones, so you can’t get back in or retrieve anything you failed to take out in time. I have looked hard in my history books to find another example, but found no evidence of such a callous measure being practiced elsewhere. Finally, under the “enlightened occupation,” settlers have been allowed to form vigilante gangs to harass people and destroy their property. These gangs have changed their approach over the years. During the 1980s, they used actual terror — from wounding Palestinian leaders (one of them lost his legs in such an attack), to contemplating blowing up the mosques on Haram al-Sharif in Jerusalem. In this century, they have engaged in the daily harassment of Palestinians: uprooting their trees, destroying their yields, and shooting randomly at their homes and vehicles. Since 2000, there have been at least one hundred such attacks reported per month in some areas such as Hebron, where the five hundred settlers, with the silent collaboration of the Israeli army, harassed the locals living nearby in an even more brutal way. From the very beginning of the occupation then, the Palestinians were given two options: accept the reality of permanent incarceration in a mega-prison for a very long time, or risk the might of the strongest army in the Middle East. When the Palestinians did resist — as they did in 1987, 2000, 2006, 2012, 2014, and 2016 — they were targeted as soldiers and units of a conventional army. Thus, villages and towns were bombed as if they were military bases and the unarmed civilian population was shot at as if it was an army on the battlefield. Today we know too much about life under occupation, before and after Oslo, to take seriously the claim that nonresistance will ensure less oppression. The arrests without trial, as experienced by so many over the years; the demolition of thousands of houses; the killing and wounding of the innocent; the drainage of water wells — these are all testimony to one of the harshest contemporary regimes of our times. In the West Bank, including East Jerusalem, Israeli forces committed unlawful killings of Palestinian civilians, including children, and detained thousands of Palestinians who protested against or otherwise opposed Israel’s continuing military occupation, holding hundreds in administrative detention. Torture and other ill-treatment remained rife and were committed with impunity. The authorities continued to promote illegal settlements in the West Bank, and severely restricted Palestinians’ freedom of movement, further tightening restrictions amid an escalation of violence from October, which included attacks on Israeli civilians by Palestinians and apparent extrajudicial executions by Israeli forces. Israeli settlers in the West Bank attacked Palestinians and their property with virtual impunity. The Gaza Strip remained under an Israeli military blockade that imposed collective punishment on its inhabitants. The authorities continued to demolish Palestinian homes in the West Bank and inside Israel, particularly in Bedouin villages in the Negev/Naqab region, forcibly evicting their residents. Let’s take this in stages. Firstly, assassinations — what Amnesty’s report calls “unlawful killings”: about fifteen thousand Palestinians have been killed “unlawfully” by Israel since 1967. Among them were two thousand children. Another feature of the “enlightened occupation” is imprisonment without trial. 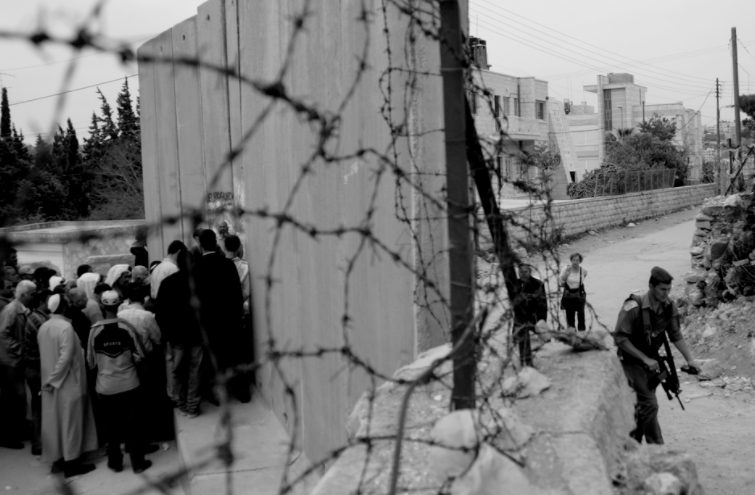 Every fifth Palestinian in the West Bank and the Gaza Strip has undergone such an experience. Neither of these numbers comes even close to the number of Palestinians who have experienced such a process: including the very young, the old, as well as the long-term incarcerated. Arrest without trial is a traumatic experience. Not knowing the charges against you, having no contact with a lawyer and hardly any contact with your family are only some of the concerns that will affect you as a prisoner. More brutally, many of these arrests are used as means to pressure people into collaboration. Spreading rumors or shaming people for their alleged or real sexual orientation are also frequently used as methods for leveraging complicity. As for torture, the reliable website Middle East Monitor published a harrowing article describing the two hundred methods used by the Israelis to torture Palestinians. The list is based on a UN report and a report from the Israeli human rights organization B’Tselem. Among other methods it includes beatings, chaining prisoners to doors or chairs for hours, pouring cold and hot water on them, pulling fingers apart, and twisting testicles. What we must challenge here, therefore, is not only Israel’s claim to be maintaining an enlightened occupation but also its pretense to being a democracy. Such behavior towards millions of people under its rule gives the lie to such political chicanery. However, although large sections of civil societies throughout the world deny Israel its pretense to democracy, their political elites, for a variety of reasons, still treat it as a member of the exclusive club of democratic states. In many ways, the popularity of the BDS movement reflects the frustrations of those societies with their governments’ policies towards Israel. For most Israelis these counterarguments are irrelevant at best and malicious at worst. The Israeli state clings to the view that it is a benevolent occupier. The argument for “enlightened occupation” proposes that, according to the average Jewish citizen in Israel, the Palestinians are much better off under occupation and they have no reason in the world to resist it, let alone by force. If you are a noncritical supporter of Israel abroad, you accept these assumptions as well. There are, however, sections of Israeli society that do recognize the validity of some of the claims made here. In the 1990s, with various degrees of conviction, a significant number of Jewish academics, journalists, and artists voiced their doubts about the definition of Israel as a democracy. It takes some courage to challenge the foundational myths of one’s own society and state. This is why quite a few of them later retreated from this brave position and returned to toeing the general line. Nevertheless, for a while during the last decade of the last century, they produced works that challenged the assumption of a democratic Israel. They portrayed Israel as belonging to a different community: that of the nondemocratic nations. One of them, the geographer Oren Yiftachel from Ben-Gurion University, depicted Israel as an ethnocracy, a regime governing a mixed ethnic state with a legal and formal preference for one ethnic group over all the others. Others went further, labeling Israel an apartheid state or a settler-colonial state. In short, whatever description these critical scholars offered, “democracy” was not among them. Ilan Pappe is an Israeli historian and socialist activist. He is a professor with the College of Social Sciences and International Studies at the University of Exeter, director of the university's European Centre for Palestine Studies, and co-director of the Exeter Centre for Ethno-Political Studies. Most recently, he is the author of Ten Myths About Israel .